The Scenic City Women’s Network Marketplace Luncheon will be held on Thursday, Aug. 23, at the Mountain City Club, featuring speaker, Lynda Hawks, president of Hawks Property Management. Ms. Hawks was a single mother working two jobs while raising her two children. 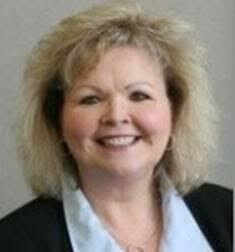 She began her career in accounting in the early 80’s at The Leader in downtown Chattanooga. Later she was employed as the sole bookkeeper for approximately 2.5 million square feet of real estate for Bob Corker. By 2005, Ms. Hawks was made a corporate officer in the company. The next January Mr. Corker sold most of his real estate to Henry Luken. In 2008, Ms. Hawks was promoted to chief financial officer of Luken Holdings, Inc. and in 2009 was promoted to president/CEO. Today, Ms. Hawks is the chief operating officer for Corker Properties, and has a business, The Hawks Group, LLC with her husband, Jim Hawks. Together they manage several properties for various businesses in the Chattanooga area, along with several Family Trusts. Ms. Hawks currently serves as treasurer for the Board of Directors for Volunteers in Medicine and The Miracle League of Chattanooga but said her passion in life is Jesus Christ. Ms. Hawks will speak on "God's Unfathomable Riches." The registration deadline is Tuesday, Aug. 21. To make reservations go online: www.scwn.org or call 698-6262. Cost for the luncheon is $20. The luncheon will be held at Mountain City Club, 729 Chestnut St. Networking and registration will be from 11:30 a.m.-12 p.m. and the program and lunch will be from 12-1 p.m.